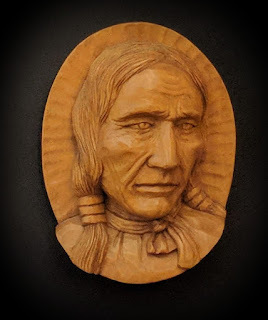 Carved from basswood. Finished with oak colored stain and wax. Approximately 4 inches tall.